During the Conferences of NGOs in Consultative Relationship with the United Nations on «Diversity unites! 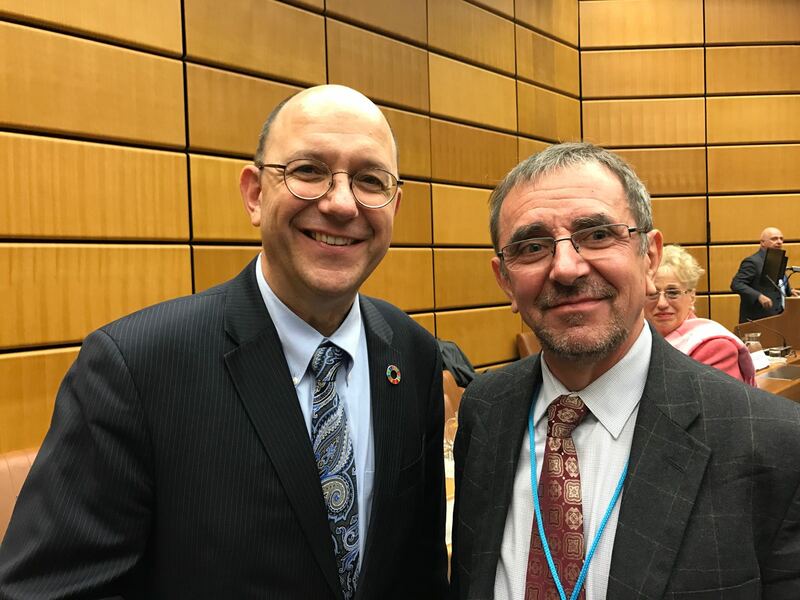 – Governments and NGOs: Together against radicalization» and «Challenges Today and Tomorrow» held in Vienna on 12 of October 2017, the Secretary General of the AIDLR Liviu Olteanu had conversations in Vienna with H.E. THOMAS GASS, United Nations Assistant Secretary-General for Policy Coordination and Inter-Agency Affairs from New York, H.E. 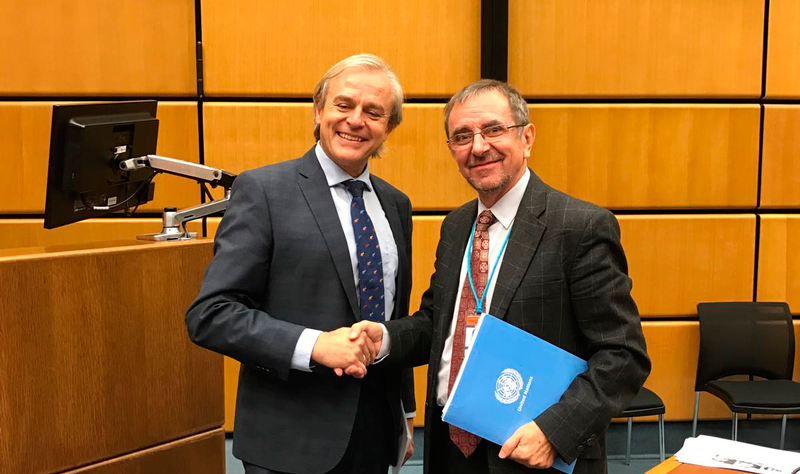 MARTIN NESIRKY, Director, United Nations Information Service Vienna International Centre, and with H.E. JEAN LUC LEMAHIEU, Director of the Division for Policy Analysis and Public Affairs, United Nations Office on Drugs and Crime from Vienna. They talked together on the need of mutual cooperation between the UN and the AIDLR, and with other actors on supporting the initiatives of the United Nations and of that proposed by the AIDLR on «Global Summit on Religion, Peace and Security» initiated at the UN in Geneva on November 2016, with the purpose of preventing or fighting against hate speech and violence, extremism, radicalization, terrorism and crimes. It can be done by continue vigilance on respect of human rights, rule of law, democracy, freedom of religion or belief and sustainable developing goals (SDGs) and looking to it from the perspective of dignity of every person, and lobbying in favor of pluralism and diversity and promoting educational intiatives.